In 1928, researchers were studying syphilis in rabbits when they unexpectedly came across a completely different discovery: the rabbits’ cabbage-based diet had caused them all to develop very swollen thyroid glands, a condition known as goiter. Goiter is also a disease that humans can get – it’s an abnormal enlargement of the thyroid gland, which regulates metabolism and all kind of other important hormonal processes. Goiter has many causes – iodine deficiency is the most common, but autoimmune thyroid diseases can also do it, and so can some cancers. And apparently, so could something in cabbage. Further studies in the 1930s through the 50s discovered that the goiter-causing effect was common to all vegetables in the Brassica family (including kale, broccoli, Brussels sprouts, cauliflower, and many other foods). Researchers also discovered that the seeds of these plants had a different effect than the actual vegetable matter. Specifically, the vegetables caused no problems if you also gave your experimental animals enough iodine, but the seeds caused problems that couldn’t be prevented by adding iodine. Before they could pin down whatever component of Brassica vegetables could be causing this effect, researchers labeled them as “goitrogenic” foods, meaning foods that cause goiter. Initial research isolated one goitrogenic chemical in rutabaga and turnips, which was called goitrin. Later studies have established several other chemicals with goitrogenic effects, and additional chemicals that serve as precursors to goitrogenic ones (that is, they become goitrogenic in your body as they’re being metabolized). A “goitrogen” is not a particular type of chemical with a particular structure. The name refers to what the chemical does (cause goiter), not what particular kind of chemical it is. Kale, soy, and cabbage all contain goitrogenic chemicals the same way that bike trails, highways, and shipping lanes all contain methods of transportation: bikes, cars, and ocean liners have the same effect (transporting people from A to B) but they’re not the same thing. Soy foods (e.g. tofu, soybean oil). Soy is one of the most powerfully goitrogenic foods. They’re also found in some medications and chemicals. For example, lithium (an ingredient in some medications) is a goitrogen. Some environmental pollutants are goitrogens. Obviously, if goitrogens actually do prevent enough iodine from reaching your thyroid, that’s a serious problem. A thyroid without iodine is a very, very unhappy thyroid. So if goitrogenic foods could really have that effect, they’d basically be creating an iodine deficiency where it matters most, and you may not ever suspect it as a problem because you’re eating plenty of iodine. But from the very beginning of research into goitrogens, studies have found that the effects of goitrogenic foods depends a lot on iodine intake. Iodine is an essential nutrient for thyroid health – dietary iodine deficiency was the most common cause of goiter in the US until the widespread adoption of iodized salt essentially solved the problem. Remember from above that adding iodine to goitrogenic diets in lab animals prevented thyroid problems. The same is true in humans. The first evidence that goitrogens were dangerous to humans came when people noticed thyroid problems in iodine-deficient babies being fed a soy-based infant formula: it wasn’t just the goitrogens, but the double dose of goitrogens plus iodine deficiency. Subsequent studies on healthy adults (namely, not people with existing thyroid disorders) eating enough iodine have found no consistent relationship between goitrogens from soy and thyroid health. For example, this study found that iodine deficiency enhances the goitrogenic effects of soy foods, but iodine sufficiency makes goitrogens much less of a big deal. 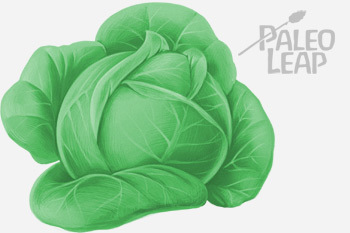 Cabbage probably shouldn’t be 1/3 of your diet, but that doesn’t make it dangerous in normal amounts. This study in rats found that a normal iodine intake didn’t completely protect against goitrogen-induced thyroid changes, but if you’ll read it closely, you’ll noticed that 1/3 of the rats’ diet was cabbage. It’s a bad idea to make cabbage 1/3 of your diet for many reasons, which is why no human would ever do that, so it’s not clear whether this is relevant at all to human beings. The same goes for this one with radishes – who eats radishes for a third of their diet? What’s more, many goitrogens are inactivated by cooking. This study found that in healthy adult humans, eating 150 grams (around 5 ounces) of cooked Brussels sprouts every day had no effect on thyroid function. Goitrogens: Not a Big Deal in a Paleo Context? Almost no salt (everyone knows salt is terrible for you! ), and sea salt when she does eat salt at all (sea salt is not iodized, so it doesn’t supply iodine). If our hypothetical “healthy” soy-happy salt-avoider isn’t eating much fish or seafood (for example, if she’s a vegan), then she’s hit the unlucky combination of low iodine intake and high goitrogen intake. You’ve probably known some vegans who might fit that bill, and for that person, goitrogenic components might really be an issue. On the other hand, someone who’s eating lots of nutritious fish and seafood and enough salt may have a very different reaction to foods that contain goitrogens. In other words, overall dietary pattern are important for evaluating the effects of goitrogens in actual human beings. It’s less about demonizing one particular food or foods, and more about identifying unhealthy dietary patterns that combine to make people sick. It’s easy to see how adding soy to a “healthy” salt-restricted vegan diet, for example, might be an issue. But if you have no pre-existing thyroid disease, you’re eating a diet with adequate iodine, and you’re not eating extreme amounts of cruciferous vegetables, there’s just no evidence that goitrogenic foods will have any harmful effect on your thyroid. Are you Sure you’re not Actually Sensitive to FODMAPs? If you think you’re sensitive to goitrogens because kale, cabbage, and other brassicas upset your stomach, you might actually be sensitive to FODMAPs, which are certain types of carbohydrates found in brassicas among other foods. The sensitivity is real; it’s just not the goitrogens that are causing it. Some people feel better avoiding goitrogenic foods (or only eating them cooked). It might be worth considering whether you’re not actually reacting to the FODMAPs instead of the goitrogens, but if the goitrogens are really not playing nicely with your body, then you should do whatever helps you heal. In particular, this post doesn’t touch on people with pre-existing thyroid disorders: every sick thyroid is a complicated world unto itself, and you should do what works for you. On the other hand, there’s no compelling evidence that goitrogens cause thyroid problems in healthy adults who are also eating enough iodine. 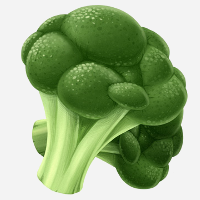 And besides that, they’re delicious and contain many other nutrients – goitrogens just don’t present a convincing argument for avoiding cabbage and broccoli unless you personally have strong evidence of a problem with them.